Boston College history professor Robin Fleming. How do you tell the story of a silent era? Historians usually work from documents and archives, but huge swaths of history unfolded with barely any written records surviving at all. This is the problem that Boston College historian Robin Fleming faced in looking at the first centuries of British life after Roman rule, an era of poverty, illiteracy, and tumult. 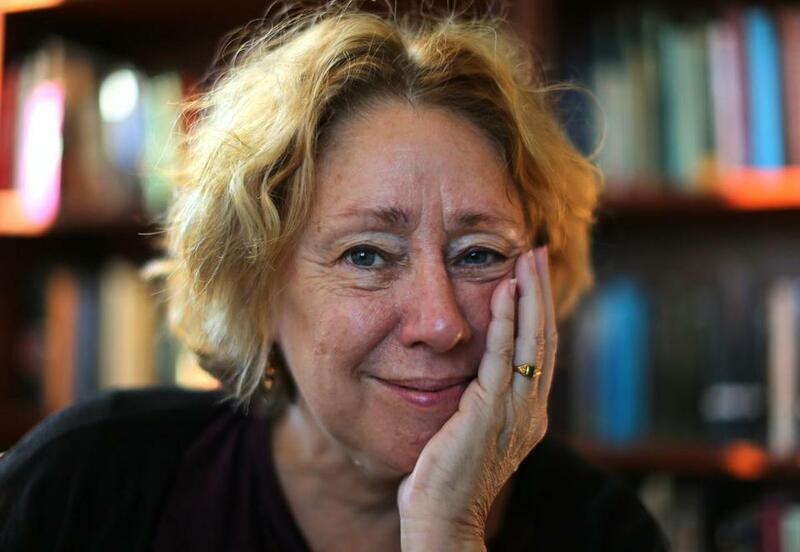 Last month, Fleming became the first-ever Boston College scholar to receive a MacArthur fellowship—the so-called genius grant—for her innovative illumination of a nearly impenetrable time. Her solution to the problem: Rather than relying on the written evidence, which amounts to scattered accounts of the exploits of kings and bishops, she trains a historian’s eye on what archeologists are turning up. She analyzes reports from digs, pores over photographs, and travels to examine excavated objects herself, then weaves the story of a society from the things people left behind. Fleming is part of a broader trend of writing social history based on material objects, an approach strikingly different from those of historians focused on politics, power, and documents. Her study of everyday materials gives her remarkable new insights into a wide cross-section of society, including women, the poor, and other everyday people who were not kings or bishops. She has written, for example, about one fourth-century community in which many people were buried with small, elegant drinking beakers. 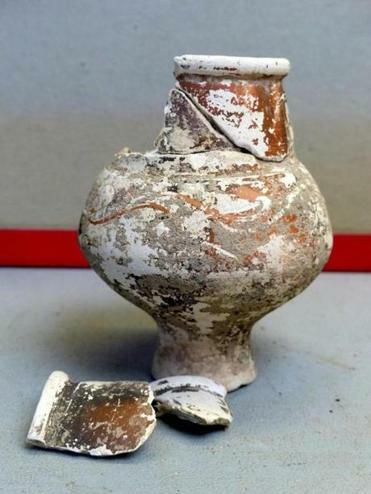 By the fifth century, the Roman economy was collapsing, and the buried beakers begin to look much more beat-up. From this, Fleming was able to piece together a portrait of people who could no longer access the material goods of their recent ancestors, but still carried on their traditions. Fleming’s most recent book, published in this country in 2011, is “Britain After Rome: The Fall and Rise, 400 to 1070.” She spoke with Ideas from her home in Cambridge. IDEAS: You’re looking at a period that is sometimes called the Dark Ages. It’s an outdated term among historians, but do you think it’s in some way accurate? FLEMING: To say it’s the Dark Ages doesn’t give people any agency or credit. These people, a whole world imploded around them and they had to build it all new. Calling it “dark” doesn’t give them the credit they deserve. It makes them all seem like victims. IDEAS: How have historians traditionally tried to approach this era? FLEMING: The standard practice has been that historians interested in the fifth and sixth centuries go to their shelves and they pull down the Venerable Bede, who was a very good historian, and he wrote in the eighth century. He tells us what happened in that period. And so, we look at what he says, we critique what he says, we write history from what he says. But the fact of the matter is, the Bede didn’t know anything about that period. He did as best as he could, but he didn’t have the evidence that we have. IDEAS: What kinds of evidence are you using that aren’t typically tapped into by historians? FLEMING: Medievalists, if they use objects, tend to use the famous ones and the pretty ones. So all historians will know about some of the really famous, what we call “princely burials,” full of gold and weapons and all this wonderful stuff....What I look at isn’t pretty at all and isn’t known to historians. So, things like bits of pottery. I’m really interested in slag from metal production; I’m interested in really poor-quality knives. It’s looking at the kind of quotidian and everyday, the stuff most people had. IDEAS: How is your work is different from an archeologist’s? FLEMING: The field archeologists that I know all have this incredible visual imagination, and they can look at a site that’s only from the ground down, excavate it out, and see what it looked like. Which is something historians just can’t do. I have no visual imagination at all. So archeologists do those things, but they’re not interested in looking—most of them, anyway—at the kind of range of archeological material being pulled out of the ground, against the background of the kinds of questions that drive historians, and writing a compelling story about the lived experience of people of the past. I’m talking medieval here. In the Americas, things are a little bit different, because for a long time in the Americas, the only story people could tell was an archeological story. IDEAS: You found lower-status women wearing knock-offs of expensive accessories that rich women hung from their belts, which is a lovely detail. destroying. There’s a lot of information in there and most of isn’t very interesting. But these little details come out and you think, Oh my god, somehow I’m going to work that in, because those are the things that enliven the story and make these people real. IDEAS: Is it a challenge to a put together a full picture of an era with only the handful of things that have randomly happened to survive? FLEMING: Metal objects survive well, ceramic objects survive well. But if you think of the things we use to mark us as individuals, that’s all gone, like hairstyles and slang. It’s just gone. There’s organic stuff and this other stuff that we know from our own lives is really important. These are just echoes. It’s like being an astronomer and looking at some faraway galaxy. IDEAS: In the short video produced by the MacArthur Foundation, you say, “People make things, but things make people.” What do you mean by that? FLEMING: The fact that I don’t have a toilet in my living room or a bed in my kitchen makes me live my life in my house in specific ways. And I have this picture of what a house should be like in my brain, so when I go to build a new one, I build it so the toilets aren’t in the living room and the beds aren’t in the kitchen. So the house forces me and everybody else to continue living lives the way we’ve been living them. Objects really boss us around. I’m always struck by this because I spend a lot of time with 18- and 19-year-olds. Smartphones have completely reorganized the way our students inhabit the world. It’s not them taking charge of the world, it’s their smartphones telling them how to operate in the world. IDEAS: It’s touching to me that some of these people have waited for more than a millennium to have their lives recognized. Is there an emotional component for you in this work? FLEMING: Absolutely. I feel it’s my job to let people speak who have been forgotten and ignored. I think about how important my own life is to me, and how 500 years from now, I want historians who are looking at 21stcentury America to capture what life is like for me and people I love. But they’re not going to do that if all they do is write histories of the Senate or biographies of Obama. That’s just not going to get at it. So I know what I want for myself, and I want that for other people as well, people in the distant past. It’s really hard in my period to get beyond kings and bishops and really, really important people. But there were all these other people who had lives that were just as important. I want to speak for them.